I am sure by now you would have either read it, heard of, seen it, or binge watched Marie Kondo's Tidying Up on Netflix (based on her best selling books Spark Joy (2012) and The Life-Changing Magic of Tidying Up (2012)). It is truly a phenomenon and came perfectly timed at the beginning of a new year. My boyfriend actually read the book a couple of years back and he went through the methods at the time which I definitely benefitted from. We now fold our clothes using the KonMari method and utilise a lot of her ideas around parting with things and trying to maintain a relatively clutter-free home. It is without a doubt a daunting process but like many, the end result is worth it and going forward you start to get a much better grasp on what truly 'sparks joy' for you. 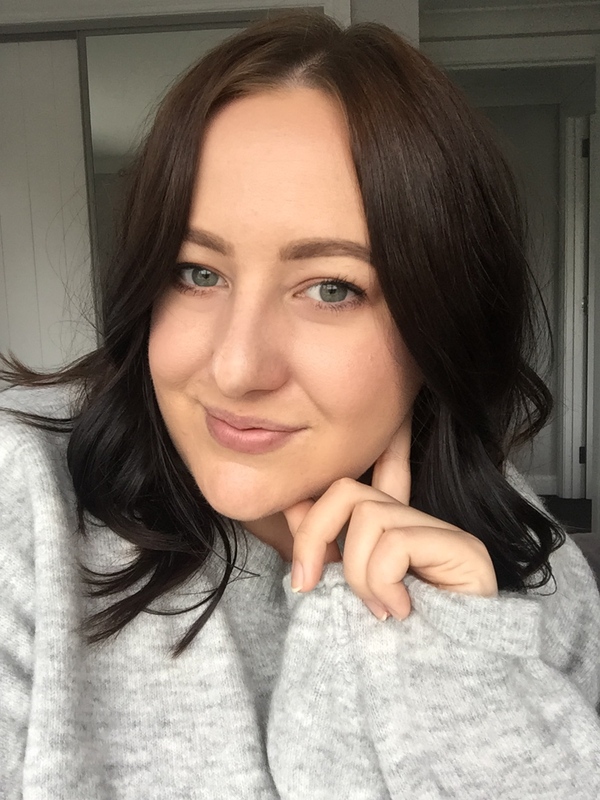 One of my biggest categories is my makeup and it shouldn't be lumped in the 'Komono' or Miscellaneous category of decluttering, but instead, it needs its very own, just likes clothing, shoes and books! Every 6 months or so I like to go through it all and clear it out as much as I can because I own and accumulate A LOT of makeup. It just comes with the territory of beauty blogging. After New Years before I started back at work, I did my most ruthless cull yet and I've gotta say, it felt good! Here are some of my tips inspired by Marie Kondo's method that I recommend trying for yourself. As Marie says, dump it all on the bed! Ok, maybe not the bed, but take every bit of makeup you own and put it in one place. 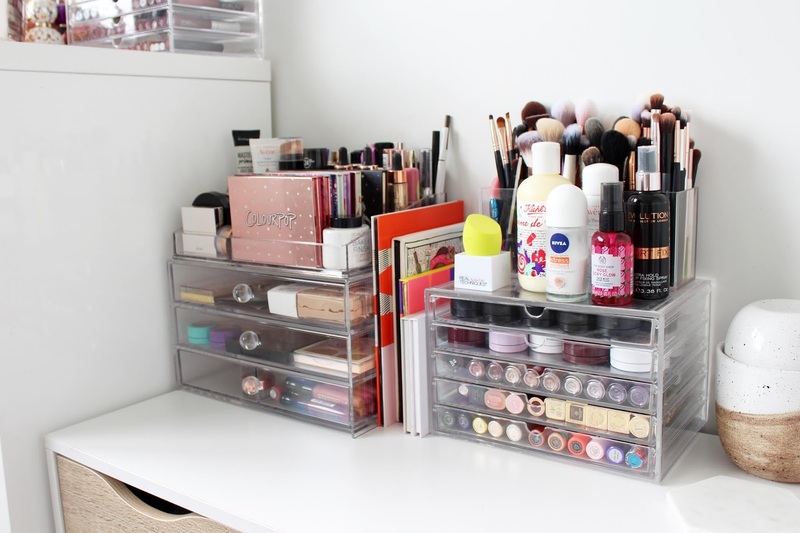 The initial shock of seeing how much you may own that has been tucked away in your makeup bag or drawers will help to get you motivated to get it organised and to help part ways with some it. Next step is put it into categories such as foundation, concealer, eyeshadows, mascaras etc and then subcategories i.e. foundations that are liquids should be separated from powders, eyeshadow palettes should be separate from eyeshadow crayons. You get the gist. I find it easiest to go through the order I put things on my face i.e. start with primers and go from there. Say we are looking at eyeshadow palettes, pick up ones that you know you use most often and love - these are going to be easy keepers. If you are on the fence about something, my general consensus is you probably won't reach for it, alternatively, you could keep it and then a few months down the track if you still haven't used it, it's time to say 'thank you' and donate it/throw it away if it is old or expired. Go through each product and if you know it's not the right shade for you, or it's something you will rarely use, it is time to part with it. I had far too many blue lipsticks in my collection and I've never worn a blue lipstick in my life! I have a spreadsheet where I keep track of everything in my makeup collection (I will share this in a separate post as it may be helpful for some). I make sure I note down the date I got it so if something is from 2015, it's most likely expired and should probably be binned! Each makeup product has a little jar icon with a number in it to indicate how long you can keep it until it's expired. The other tests are the smell and swatch test; if it smells weird, bin it, and same goes for the texture - if it looks like its changed consistency, it probably needs to go. I am definitely guilty of holding on to products for too long! 5. BUT WHAT ABOUT LIMITED EDITION MAKEUP? The hardest thing for me personally is parting with limited edition products especially if they come in special packaging like my M.A.C lipstick collection. For me, these products almost always spark joy so I hold onto them most of the time. I may not use them again but for a makeup lover, I look at them as a moment of makeup history. My feelings towards them may change over time, but for the moment I am happy having them in my collection so they can stay. Wipe it down, wipe out your drawers, or give your makeup bag a shakeout and even a machine wash. A disinfectant wipe works a treat and you can also use isopropyl alcohol to disinfect all your makeup by spraying it on and letting it dry, this works for powders, cream products and lipsticks. 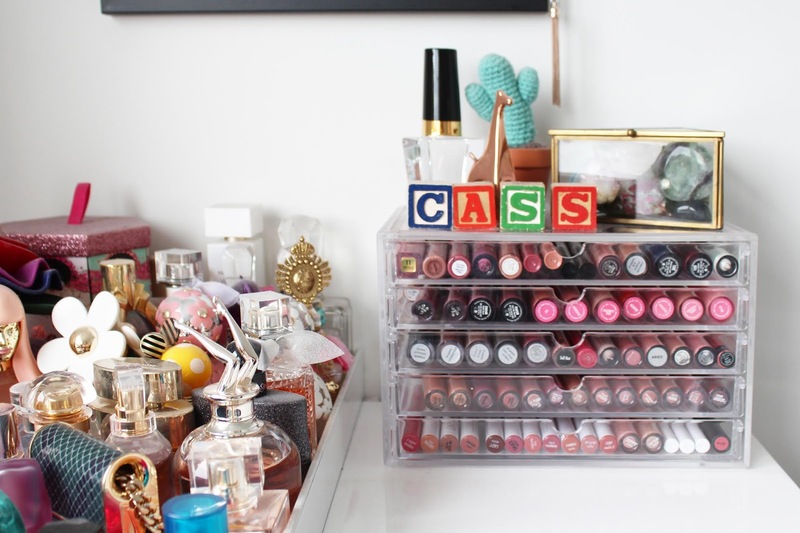 Get some drawer dividers, containers, or old boxes (Mecca boxes are always handy as are beauty subscription boxes such as the bellabox ones) and get everything in order. I like using clear plastic containers (Kmart have some great ones, also I found a lot of good ones at a local $2 style shop in a mall). Try and keep each category in its own container and make sure you can see everything as best as possible. 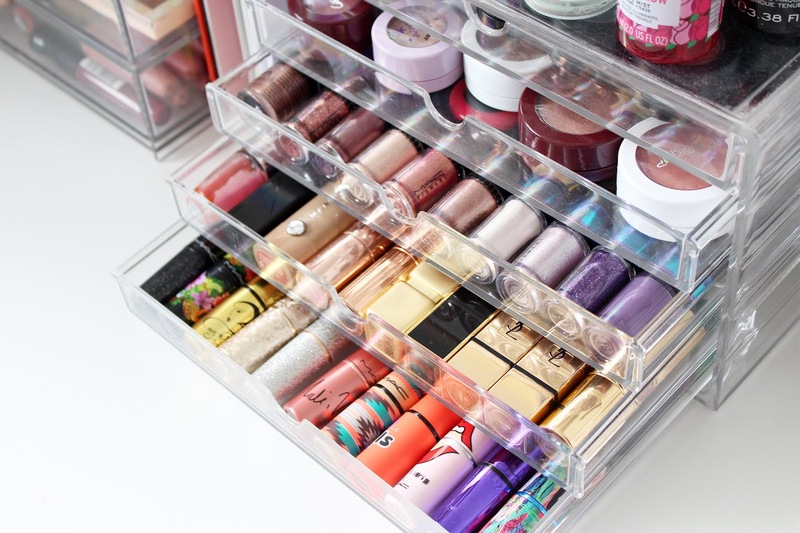 There are some beautiful acrylic storage drawers that you can buy (I have some from OnceIt and Farmers, both pictured) which are perfect for those with smaller makeup collections than me and allow you to see everything and display it in a very aesthetically pleasing manner! 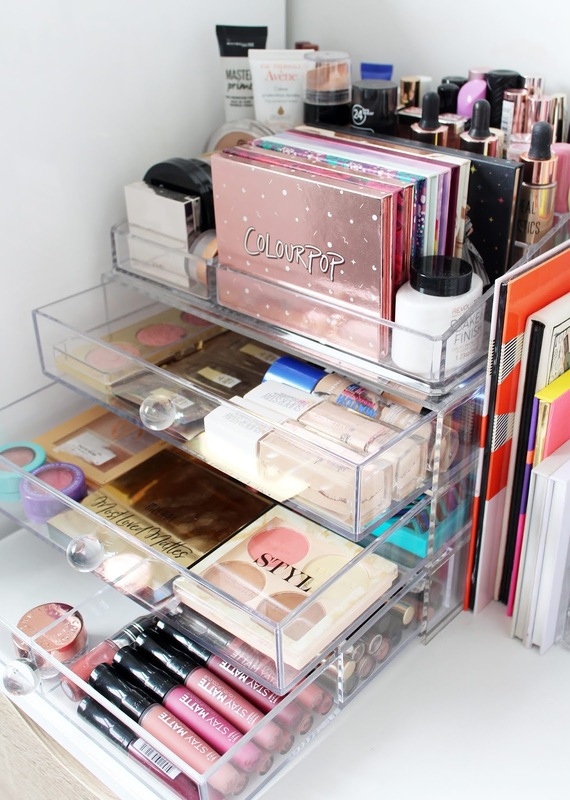 If you need some inspiration, I have a whole Pinterest board dedicated to makeup organisation - see it here. If there are products that you love but may have neglected, make sure they are front and centre so you will grab them first. I have a couple of dedicated acrylic drawers for my 'new in' products, either from PR or things I've recently bought. Find a system that works for you! 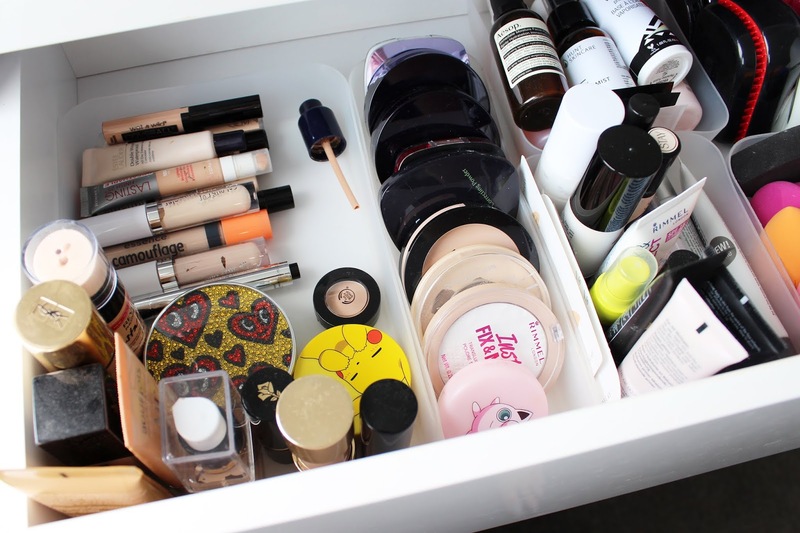 So now you've gone through your collection and have a huge pile of makeup that you want to get rid of. I mark it off my spreadsheet and move it under a 'Decluttered/Empty' section, and then start to go through what needs to be thrown right in the bin and what products are still useable, that I can then see if my friends, family, work colleagues etc. want anything for themselves. There are also some charities which take unused and lightly used makeup like Look Good Feel Better here in New Zealand or the Women's Refuge, I would definitely recommend searching around to see where you can donate in your local area. Although these tips apply to makeup, you can also apply them to other life categories too and adapt them to suit you and how you'd like to best organise. I find organising and sorting your makeup really enjoyable and if it's something you have been putting off, just try and tackle it category by category when you are in the right mindset. What I like about Marie's method is that it's not about chucking everything away, it is really putting value and thought into each item you own to assess if it is something you'd like to use or have in your future. If you need a bit of inspiration, watch the series and also do a quick search on Youtube for 'makeup decluttering' and you will find heaps of videos! Have you started doing Marie Kondo's method? 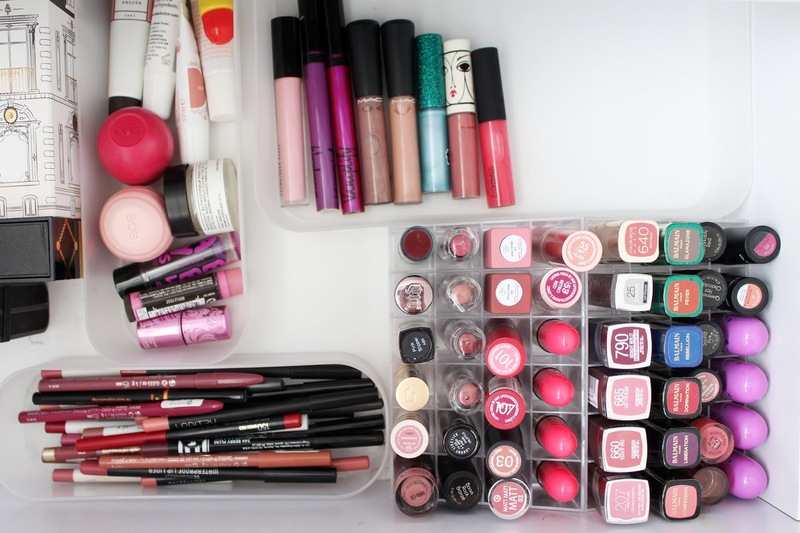 What are some of your tips to help you organise your makeup?